The heart of a "certified" used car program is the "unbiased" inspection. Do such inspections make extended warranties for used cars unnecessary? There are good reasons to think that the inspection does not replace used car extended warranty coverage one bit. • Are inspections really added value? Don't you wonder why dealers aren't inspecting all their cars before taking delivery themselves? Car dealers aren't idiots, at least not with cars. Anyone who's had to haggle over a trade-in knows that. The big question is whether the dealership will disclose everything it knows. Trust is still an issue with "certified" cars. Put your trust in an extended used car warranty instead. • Certified by whom? Think about it: the same people who are trying to sell you the car are also "certifying" it. Yes, you read right: the "certification" is usually done by the dealership selling the car. If there's any manufacturer oversight, it's often just an occasional inspection of the dealer's inspection. Given dealers' conflict of interest in certifying cars they are selling, the best used car warranties are far more reliable than the best dealers' inspections. • Duplicate inspection. You should have any used car, "certified" or not, thoroughly inspected by an independent mechanic. You're up against used car dealers. Do not give up your first line of defense. • Limits of inspections. No inspection in the world can foresee every possible problem. Oftentimes, something that breaks a few months after purchase really was fine when the car was sold. When--not if--something gives out, you'd better have a used car extended warranty. An independent unbiased inspection company, Automotive Destinations, will perform a 201 point inspection of your rover, at your home or office. If there are any leaking seals/gaskets or ioperable parts detected upon inspection, you will have to have those items repaired or replaced before you can purchase coverage. The cost of the Inspection is $90.00 plus tax and is payable directly to Automotive Destinations. Your rover must be inspected by a Dealer, a Certified Auto Mechanic of your choice or an Independent Repair Facility in your area. If there are any leaking seals/gaskets or inoperable parts detected upon inspection, those will not be covered by the service agreement, untill you have them repaired or replaced. The cost of the inspection is determined by the Dealer, Mechanic or Independent Repair Facility. To make this perfectly clear there is no coverage for pre-existing conditions. By having your rover inspected you're eligible for day one coverage, with no waiting periods. 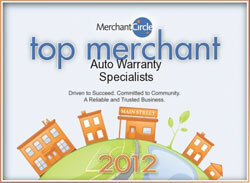 Any vehicle out of the original factory warranty is required to pass an inspection. The cornerstone of a "certified" used car program is the supposedly super-thorough inspection. Do such inspections make extended warranties for used cars unnecessary? There are good reasons to think that the inspection does not replace used car extended warranty coverage one bit. • Certified by whom? Think about it: the same people who are trying to sell you the rover are also "certifying" it. Yes, you read right: the "certification" is usually done by the dealership selling the rover. If there's any manufacturer oversight, it's often just an occasional inspection of the dealer's inspection. Given dealers' conflict of interest in certifying cars they are selling, the best used car warranties are far more reliable than the best dealers' inspections. • Duplicate inspection. You should have any used rover, "certified" or not, thoroughly inspected by an independent mechanic. You're up against used car dealers. Do not give up your first line of defense. • Limits of inspections. No inspection in the world can foresee every possible problem. Oftentimes, something that breaks a few months after purchase really was fine when the rover was sold. When--not if--something gives out, you'd better have a used car extended warranty. A good inspection will examine all of the important safety and performance items on your rover, including the engine and transmission, the braking and steering systems, electrical components, tires, and the overall condition of your rover. An inspection will reveal potential current problems as well as those that are imminent, such as brake pads that are at the end of their life span and will need to be replaced in the near future. A good inspection report will also include a written report for your reference and records. An inspection is not a guarantee that you will never have problems with your rover, but it goes a whole lot further than not having it inspected at all.